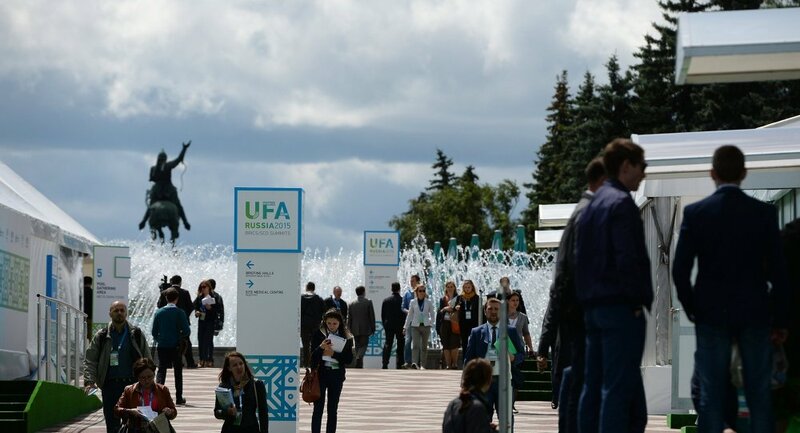 This week's summit of emerging economies in the Russian city of Ufa has marked the ultimate transformation of the old world order into a new multi-polar reality, where the BRICS is emerging as a powerful financial and political voice. The idea of the BRICS, first voiced by Goldman Sachs economists, has been transformed by the emerging powers of Eurasia, Africa and Latin America into a new viable concept of a global political and economic club aimed at counterbalancing Western dominance. "This week's gathering of the leaders of Brazil, Russia, India, China, and South Africa for their 7th BRICS Summit in Ufa, Russia shows more than the fact that Russia is not isolated by Western sanctions. This summit marks the transformation of the BRICS club into a nascent non-Western concert of major powers that focuses on their priorities, not those of Washington or Brussels," Cynthia Roberts, an Associate Professor of Political Science at Hunter College, CUNY (City University of New York) noted. Through hardships, the BRICS countries have been working out new concepts of collaboration and struggling with economic difficulties, caused by deteriorating a international situation rather than their own structural setbacks. Despite all obstacles, the BRICS economies have demonstrated impressive results: according to the International Monetary Fund (IMF) data, the BRICS countries' contribution to the world's economy has grown to 50 percent in the past decade. Furthermore, the share of the BRICS counties as a part of global GDP has reached 30 percent, according to Russian Minister of Economic Development Alexei Ulyukayev. It is worth mentioning that the BRICS countries also saw a tremendous increase in multilateral trade in 2014 — more than 70 percent — reaching $291 billion. "Our countries accounted for over 17 percent of global trade, 13 percent of the global services market and 45 percent of the world's agricultural output [in 2014]," Alexei Ulyukayev stressed during his speech at the Meeting of the BRICS Trade Ministers in Moscow on July, 7. So far, the countries have launched the BRICS New Development Bank (NBD), signing an operating agreement on the $100 billion currency reserve pool, which is aimed at protecting its members from currency volatility. "The BRICS will now be bolstered by their own institutions that are intended to operate parallel to the US led order created at Bretton Woods in 1944," Cynthia Roberts emphasized, explaining that the present Bretton Woods system has obviously failed to meet the needs of the emerging powers, since Washington and its European allies do not want to cede their dominant economic positions to BRICS nations. "Though the BRICS countries avoid frontally attacking American hegemony, they contest the West's pretensions to permanent stewardship of the existing system," she underscored. Do you think BRICS can bring an end to the Western political monopoly? For instance, almost 25 percent of bilateral Sino-Russian trade has been settled in the yuan, indicating that the geopolitical players are inclined to topple the dollar as the main reserve currency in the future. On the other hand, both China and Russia are launching their own equivalent to SWIFT — the electronic financial-messaging system. The expert argues that the BRICS' initiatives cannot yet be considered a serious threat to the dollar system, however, it is obvious that the new financial institutions elevate fears among Western financial elites. Indeed, Western financial elites are losing instruments which allowed them to control and contain the rapid rise of emerging economies. Whatever you like it or not, BRICS "has emerged as a powerful financial and political voice in the emerging multipolar world that is unlikely to be ignored," W.P.S. Sidhu, a senior fellow for foreign policy at Brookings India, admitted.